Pledge your support to fighting breast cancer. Tell us your t-shirt size! One in eight women will be stricken with breast cancer in her lifetime and the more we raise, the more the New Orleans Affiliate of Susan G. Komen for the Cure can give back to fund vital breast cancer education, screening and treatment programs in our own community and support the national search for a cure. in the Race or contributing generously to the Komen New Orleans Race for the Cure. Your tax-deductible contribution will fund innovative outreach and awareness programs for medically underserved communities in the New Orleans area and national breast cancer research. It is faster and easier than ever to support this great cause – you can make a donation online by simply clicking here. Whatever you can give will help! 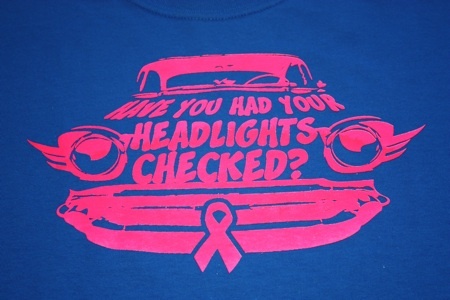 breast cancer! Every step counts!